KANSAS CITY, MO, JANUARY 14, 2015 – Area hockey organizations received generous donations provided by KCIce in conjunction with the National Hockey League Players’ Association (NHLPA)'s Goals & Dreams program. Much needed hockey equipment has been distributed to programs and organizations that help deserving children and families get involved with the sport, as well as families or individuals facing unique economic or social challenges. The NHLPA Goals & Dreams fund is the largest grassroots hockey assistance program in the world. Founded in 1999, Goals & Dreams has contributed over $22 million to grassroots hockey programs and related causes in 32 countries. Through the donation of equipment grants, the program has given more than 70,000 deserving children the opportunity to play hockey and benefit from the sport’s commitment to teamwork, discipline and physical fitness. 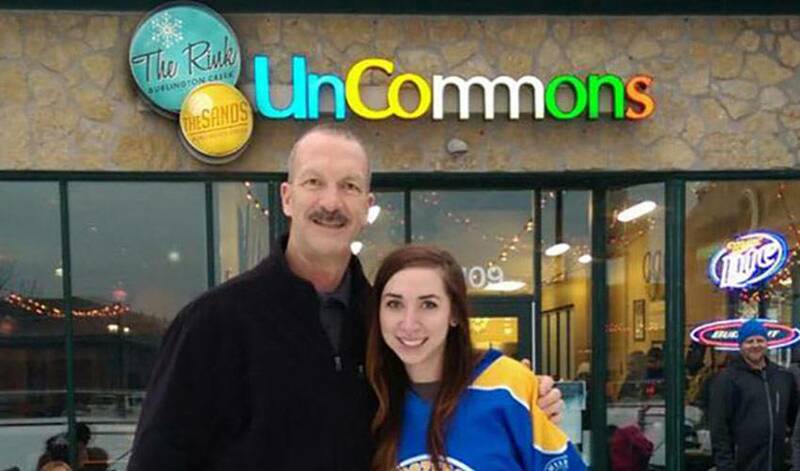 Ken Morrow, KCIce President, four-time Stanley Cup champion and 1980 ‘Miracle on Ice’ Olympic Gold Medalist, created the UnCommon Community. The organization consists of groups of individuals, community, businesses, charities and youth organizations who join efforts to support each other in UnCommon ways. Through this program and the partnership with NHLPA Goals & Dreams, KCIce provides ice-based athletes in need – such as Madeline (Maddy) Gilmore – to continue their passion in high school and beyond. “It was an unfortunate situation. Fortunately, with the equipment from NHLPA Goals & Dreams, we were able to keep one more athlete on the ice, and now Maddy is ecstatic to be back playing hockey” stated Morrow. Local ice arenas keep a stockpile of used hockey equipment for new players. But as enthusiasm for the sport grows, the less equipment they have for new players. KCIce has an agreement with NHLPA Goals & Dreams to continue providing hockey equipment to those in need.